While viewing the Desktop, right click on the Taskbar and select Properties. Click on the Navigation tab of Taskbar and Navigation properties. 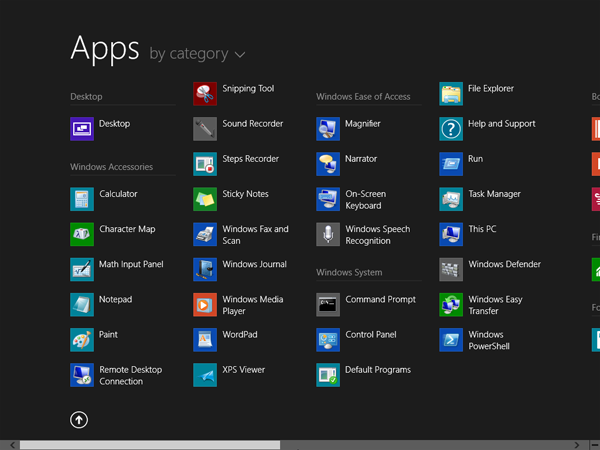 Under the Start screen section, check the box for "Show the Apps view automatically when I go to Start." Check "List desktop apps first in the Apps view when it's sorted by category" to make sure your traditional Windows desktop apps get priority over the new Windows Store apps. Click OK and your changes are effective immediately.